It was a great trip down to Austin; and though we left our home and 34 hours later returned it was still a great trip. The baby did great and only got a fussy the last hour in the car; but hey I was fussy too. I love my family. It is so good to see each other even if it is for 5 hours or less. 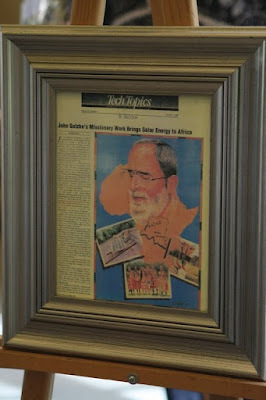 The service was great and a wonderful celebration of Uncle John's life. The pastor likened him to John the Baptist and that was quite fitting. The beard, the lifestyle, and the purpose for both of them had many similarities. 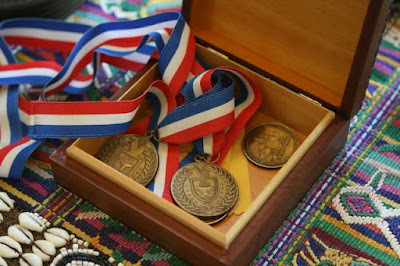 At the reception they had out on display his tennis medals from the Senior Olympics and some of his African memorabilia. He truly had an amazing life!